1. Is it possible to change how many missiles it takes to increment the percent counter? I want to change the missile expansions to give you 2 missiles instead of 5 but have the percent counter work correctly. 2. Is there any way to change where the hint system points you to? 1. Is it possible to change how many missiles it takes to increment the percent counter? I want to change the missile expansions to give you 2 missiles instead of 5 but have the percent counter work correctly. 2. Is there any way to change where the hint system points you to? 1. It's hardcoded in MP1 unfortunately, so not without dol edits. Antidote might have an idea of what you would need to change to do that but I'm not sure. In MP2 and on you can change the Percent property. 2. That's controlled by the HINT file in NoARAM.pak. No tools for that format at the moment, but if you're up for a little hex editing, it's controlled by the MLVL/MREA IDs in the file so you can just change the IDs to change where the hints point to. [quote="Interslice"]1. Is it possible to change how many missiles it takes to increment the percent counter? I want to change the missile expansions to give you 2 missiles instead of 5 but have the percent counter work correctly. 2. Is there any way to change where the hint system points you to? [/quote] 1. It's hardcoded in MP1 unfortunately, so not without dol edits. Antidote might have an idea of what you would need to change to do that but I'm not sure. In MP2 and on you can change the Percent property. 2. That's controlled by the HINT file in NoARAM.pak. No tools for that format at the moment, but if you're up for a little hex editing, it's controlled by the MLVL/MREA IDs in the file so you can just change the IDs to change where the hints point to. I don't suggest modifying any of the capacities for the simple reason that it will completely break saves. The amounts take the bare minimum of bits so changing them is ill-advised at best. So, do you recommend not screwing with it? Not until I can find a way to modify that in a way gives you the result you want, I think it's that final right shift. I haven't been able to get a lot of work done lately since I've been busy, but animation playback for MP1 is fully functional now. The animation viewer will be in the next release. This is MP1 only right now, but I'll probably add MP2/3 as well. No promises on DKCR because a lot of the animation formats seem to be a lot different from the Prime series. I haven't been able to get a lot of work done lately since I've been busy, but animation playback for MP1 is fully functional now. The animation viewer will be in the next release. https://gfycat.com/HelplessEveryBaldeagle https://gfycat.com/RemarkableNaughtyArcticwolf https://gfycat.com/CreativeUnsungGermanshorthairedpointer This is MP1 only right now, but I'll probably add MP2/3 as well. No promises on DKCR because a lot of the animation formats seem to be a lot different from the Prime series. Great work Parax. Quick question: Is there any tools available yet that I can use to edit/replace animated models? I'm wanting to replace Samus's varia suit model with a different model. K, this is getting frustrating. Still attempting the "Change door stuffs based on having/not having beams" and I'm confused. What besides the DT and SF-IA should I be making/changing? Just the extra DT and the IA aren't enough. When experimenting, either the door still reflects shots, or can be opened if shooting the edge but not the middle, or the door opens when i get close even without shooting it, or the shot does open the door but makes the the door color change from gray back to purple pretty much immedietly and leaves the transparent 'shield' when the door opens. In one case the door wouldn't close even going far enough away. A few times I'd get a cutscene when close enough to the Ruined Shrine entrance. First time that happened the scene never ended, had to reset. Last time it was a different scene which thankfully did end. Once had the Alpha Beetle spawn with the small ones and the small ones just kept respawning. The IA itself is working; tested it with the POI Blue Light 5 (in Ruined Shrine where I've done most of my testing) to make sure. Worked fine there. I should also mention that I don't load a file for testing. I always start a new one just in case. Any advice on the matter would be greatly appreciated. 1.) What is the Billboard function? 2.) What's up with (Trigger_DoorKey [IN] here)? K, this is getting frustrating. Still attempting the "Change door stuffs based on having/not having beams" and I'm confused. What besides the DT and SF-IA should I be making/changing? Just the extra DT and the IA aren't enough. When experimenting, either the door still reflects shots, or can be opened if shooting the edge but not the middle, or the door opens when i get close even without shooting it, or the shot does open the door but makes the the door color change from gray back to purple pretty much immedietly and leaves the transparent 'shield' when the door opens. In one case the door wouldn't close even going far enough away. A few times I'd get a cutscene when close enough to the Ruined Shrine entrance. First time that happened the scene never ended, had to reset. Last time it was a different scene which thankfully did end. Once had the Alpha Beetle spawn with the small ones and the small ones just kept respawning. The IA itself is working; tested it with the POI Blue Light 5 (in Ruined Shrine where I've done most of my testing) to make sure. Worked fine there. I should also mention that I don't load a file for testing. I always start a new one just in case. Any advice on the matter would be greatly appreciated. Also a few questions: 1.) What is the Billboard function? 2.) What's up with (Trigger_DoorKey [IN] here)? I'd guess you aren't hooking up the inventory activator to the right objects. What is it connected to and what messages is it sending them? Colored doors have unused functionality that turns the doors blue after the first time they've been opened, which means there are a lot of extra unused objects on colored doors and that might be what's screwing you up. (that's why MP1 colored doors look weird outside of game mode - there's actually two doorshields and two damageable triggers.) You can turn that functionality back on by activating the Relay Swap Door objects. The Billboard function is used for the text that displays the world name in the corner when you take an elevator + in the world's intro cutscene. Trigger_DoorKey is the "key" damageable trigger for colored doors - that's the one that's actually used, you should be hooking up your inventory activator to that one. I'd guess you aren't hooking up the inventory activator to the right objects. What is it connected to and what messages is it sending them? Colored doors have unused functionality that turns the doors blue after the first time they've been opened, which means there are a lot of extra unused objects on colored doors and that might be what's screwing you up. (that's why MP1 colored doors look weird outside of game mode - there's actually two doorshields and two damageable triggers.) You can turn that functionality back on by activating the Relay Swap Door objects. The Billboard function is used for the text that displays the world name in the corner when you take an elevator + in the world's intro cutscene. Trigger_DoorKey is the "key" damageable trigger for colored doors - that's the one that's actually used, you should be hooking up your inventory activator to that one. Should I be using the "Unused" instead of making a new one / copying the key? OUTGOING: [DamageableTrigger] Trigger_DoorKey-component | Zero | Deactivate [DamageableTrigger] Trigger_DoorKey-component (N) | Zero | Activate INCOMING: [Timer] Timer | Zero | Action Should I be using the "Unused" instead of making a new one / copying the key? which door is this? Also, what's the timer for? It's the wave door in Ruined Shrine, leading to Tower of Light Access. The timer was when I was using the SF "Check for boost" as reference, so i thought it would be needed to activate the SF. Is it not needed? I hate to ask, but would you be willing to make a basic step by step video? Or some pics? I feel i'd have a better chance of understanding if I can see it. If not, it's cool. I'll just keep trying I guess. The timer might be needed, I dunno. MP1 doors are complicated to edit, there are a lot of separate components that you need to make sure are connected properly. If you're still having trouble then I dunno what I can really tell you other than study how they work, what objects they use, how they're linked up to each other, etc. and make sure you reproduce it with your new objects and enable/disable the correct stuff so the old damageable trigger doesn't reactivate. It's not really the kind of thing where you can just go crazy making random edits and not break something. I wasn't saying you were, my point is just it's kinda complex and it's easy to break something by accident. If you're messing with stuff that involves complicated scripting like MP1 doors, it's kinda expected you'll have a difficult time with it right now unless you have a really good idea of what you're doing. Sorry, i thought... Well whatever. It's just frustrating because it seems like it'd be easier than it is. Glad it's not just me being dumb. But yeah, I'm gonna see if I can map it out to get a better understanding of what all actually happens with doors. Keep in mind that MP editing is still very much in it's infancy, and we're still learning much about how objects communicate with one another. We have a pretty darn good idea, but the specifics are still pretty unknown. The fact that you're having such issues, however unfortunate, is a testament to this fact. Just be patient with us, we're learning more every day! If you want internal specifics feel free to keep an eye out on the World or MP1 directory in our URDE repository for new object implementations, they're going to be either spot on, or really close to the original code. Objects also have internal messages they send to each other (aside from the listed ones) to keep track of each other's states, an object that's being deleted, for example, will prompt message 0x22 to be sent to all of it's connected objects, any connected object can choose to respond, or ignore that message. Keep in mind that MP editing is still very much in it's infancy, and we're still learning much about how objects communicate with one another. We have a pretty darn good idea, but the specifics are still pretty unknown. The fact that you're having such issues, however unfortunate, is a testament to this fact. Just be patient with us, we're learning more every day! If you want internal specifics feel free to keep an eye out on the World or MP1 directory in our URDE repository for new object implementations, they're going to be either spot on, or really close to the original code. Edit: Objects also have internal messages they send to each other (aside from the listed ones) to keep track of each other's states, an object that's being deleted, for example, will prompt message 0x22 to be sent to all of it's connected objects, any connected object can choose to respond, or ignore that message. It's also the fact that this is the very first iteration of the editor. The current build is not even close to everything I want to do with PWE and most of the stuff on the UI has only gone through one or two iterations. There are TONS of features that I want in the editor that aren't in yet. Using it now is kinda the equivalent of being an early adopter to a new piece of hardware (minus the price tag), which is really cool because I love to see more people using my tools and getting into editing the game, but it also means you can't expect to be able to easily do everything you want right off the bat... the tools just aren't there yet. Oh, something else to keep in mind, CStateManager has 1024 slots that can be used for object ids, any more than that and it simply won't spawn. Quick update. First of all, the animation support has been extended to MP2. * Beetle: These have a separate abdomen model, which is used by plated beetles. 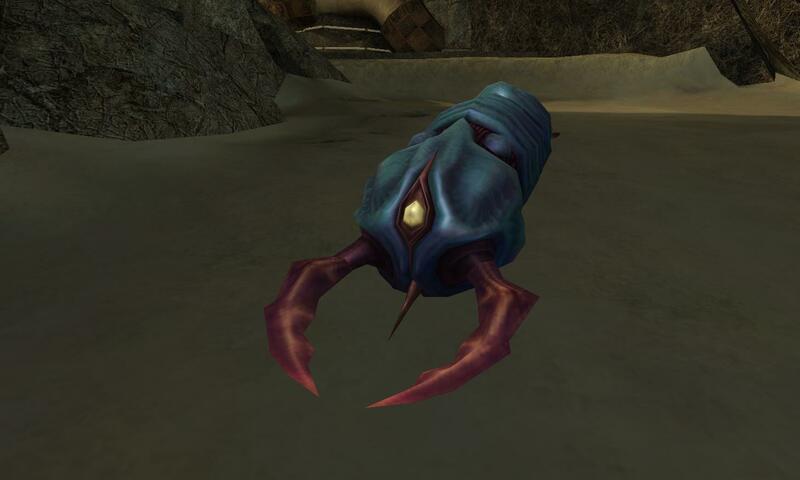 * Sandworm: Their pincers are separate models. 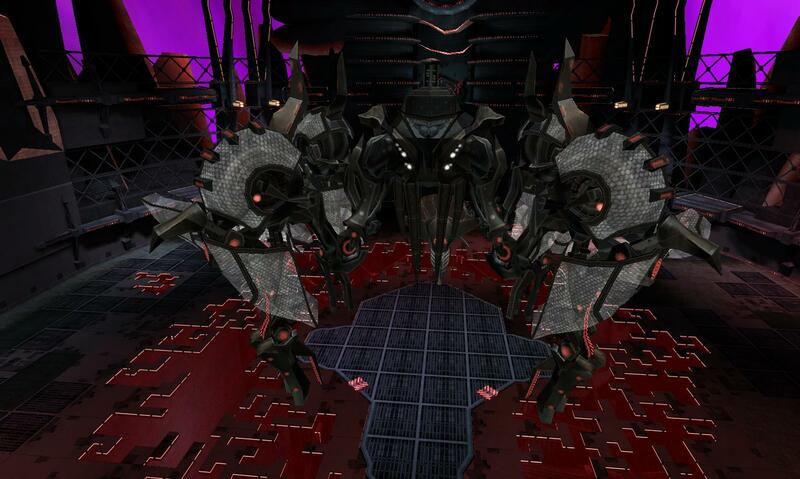 * DigitalGuardian: The legs and armor pieces are all separate models. They update live when you edit the properties as well, so it's a nice little extra to give you a better idea of what the objects look like ingame. Currently where I'm at is I want to wrap up the animation support, release v1.1.0 with those new features, and then move on. MP3 and DKCR are still unsupported for animation playback because they're both pretty different, so I'll be leaving them unsupported for now and coming back for them later. There are a couple minor things I want to tweak and fix up before doing another release. After that I want to start working on exporting and cooking game content, which will allow me to vastly improve PWE's handling of most of the game's asset formats. The way this will work is instead of opening the game files directly, you'll point PWE to the base directory of the game (or possibly to the ISO); PWE will then export out all the resources to an external directory structure and generate a game project for them. After that, you would open the game project instead of an MLVL file and it would give you access to all worlds and resources from that game in one spot. There are a TON of advantages to this approach over how it's done now, including making it far far easier to handle creation of custom assets, making it much easier for the editor to make sure all resource references are automatically included in the correct pak, being able to access resources that are stored in resource paks rather than in world paks (for instance I could attach the arm cannon model to PlayerActors or implement sound playback previews for sound IDs in MP1)... etc. Since I'll be focusing on that, you can probably expect there won't be any substantial improvements to the World Editor for a little while longer, but when it's in place there will be a lot of very cool new features that'll be possible. On a side note, this isn't an actual feature, but when debugging the attachments I temporarily set up the World Editor to render objects with their actual animations frozen at frame 0. I am now convinced PWE desperately needs this as a real feature. Unfortunately it can't be one yet because I have no support for CPU skinning, and without it it's way too difficult to click on anything. But hopefully in the future...! Quick update. First of all, the animation support has been extended to MP2. [url=https://gfycat.com/MammothNarrowGelada]Dark Samus[/url] [url=https://gfycat.com/SplendidDigitalDesertpupfish]Rezbit[/url] [url=https://gfycat.com/MagnificentPoorBuffalo]Emperor Ing[/url] Since now PWE is able to load skins and skeletons, I made some changes to the world editor to associate models in the world with their rigs. This enabled me to add a cool little new feature; objects that have attachment models can now have their templates configured to display those models attached to a bone. A few examples of objects that benefit from this include: * [url=http://i.imgur.com/k8W8Qyd.png]Beetle[/url]: These have a separate abdomen model, which is used by plated beetles. 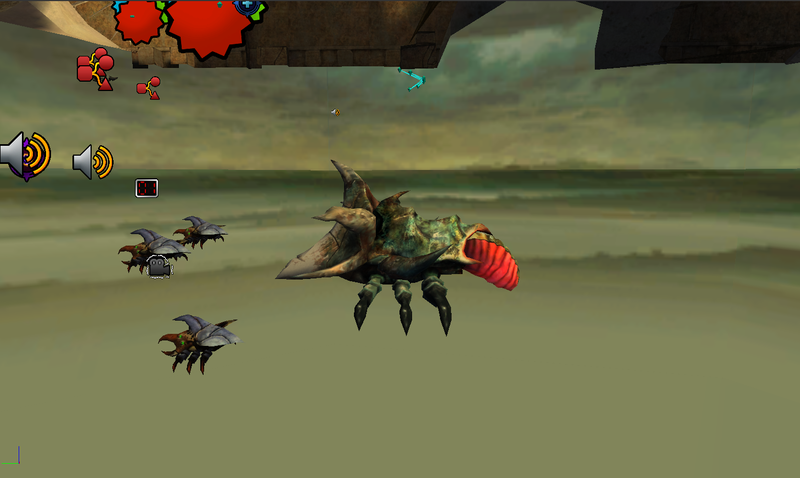 * [url=http://i.imgur.com/jbkeLBO.jpg]Sandworm[/url]: Their pincers are separate models. * [url=http://i.imgur.com/eU0ljbl.jpg]DigitalGuardian[/url]: The legs and armor pieces are all separate models. They update live when you edit the properties as well, so it's a nice little extra to give you a better idea of what the objects look like ingame. Currently where I'm at is I want to wrap up the animation support, release v1.1.0 with those new features, and then move on. MP3 and DKCR are still unsupported for animation playback because they're both pretty different, so I'll be leaving them unsupported for now and coming back for them later. There are a couple minor things I want to tweak and fix up before doing another release. After that I want to start working on exporting and cooking game content, which will allow me to vastly improve PWE's handling of most of the game's asset formats. The way this will work is instead of opening the game files directly, you'll point PWE to the base directory of the game (or possibly to the ISO); PWE will then export out all the resources to an external directory structure and generate a game project for them. After that, you would open the game project instead of an MLVL file and it would give you access to all worlds and resources from that game in one spot. There are a TON of advantages to this approach over how it's done now, including making it far far easier to handle creation of custom assets, making it much easier for the editor to make sure all resource references are automatically included in the correct pak, being able to access resources that are stored in resource paks rather than in world paks (for instance I could attach the arm cannon model to PlayerActors or implement sound playback previews for sound IDs in MP1)... etc. Since I'll be focusing on that, you can probably expect there won't be any substantial improvements to the World Editor for a little while longer, but when it's in place there will be a lot of very cool new features that'll be possible. On a side note, this isn't an actual feature, but when debugging the attachments I temporarily set up the World Editor to render objects with their actual animations frozen at frame 0. [url=https://twitter.com/Paraxade0/status/726627905917210624]I am now convinced PWE desperately needs this as a real feature. [/url] Unfortunately it can't be one yet because I have no support for CPU skinning, and without it it's way too difficult to click on anything. But hopefully in the future...! So im trying to put a chozo ghost into Echoes and when i put the ancs file in pwe crashed why would that be? another thing im wondering is would it be possible that ancs file has to be properly changed to work with Echoes? So im trying to put a chozo ghost into Echoes and when i put the ancs file in pwe crashed why would that be? another thing im wondering is would it be possible that ancs file has to be properly changed to work with Echoes?